Must be submitted prior to the show start date for scores to be included in Year-end placings. Log any additional service hours over the mandated requirement - or - log hours immediately if not participating in the Year-end Awards Program. ​Not finding what you are looking for? -A quick view of all of our web pages can be found on our Site Map page. -Use the Search Bar at the top of the page. First Coast Classical Dressage is a Society located in Northeast Florida which is currently accepting membership under the United States Dressage Federation as a Group Member Organization (GMO). The Society focuses on offering dressage schooling shows, support of individuals participating in Recognized show competition, education and social networking among Members. Our mission is to inspire riders to become knowledgeable in Classical theory and follow the teachings of the classical training Masters. 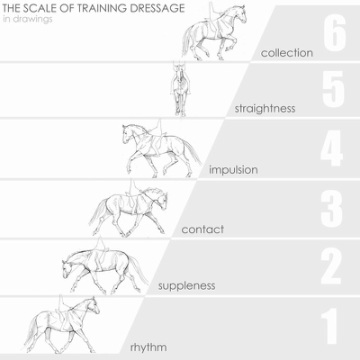 This emphasis is placed upon Classical Dressage history and the development of its principals to inspire riders to embrace the journey of Dressage training over the achievement of a competition goal destination, however all aspects of the equine lifestyle are presented. Education regarding safety issues and show/clinic etiquette will be highlighted. Competitive two day dressage schooling events are held as formal affairs structured with the same functions as any Recognized show to educate riders on the workings of the Recognized circuit and provide accurate Recognized show level evaluation by licensed United States Equestrian Federation (USEF) Officials, based on Classical Dressage principals and the training pyramids. 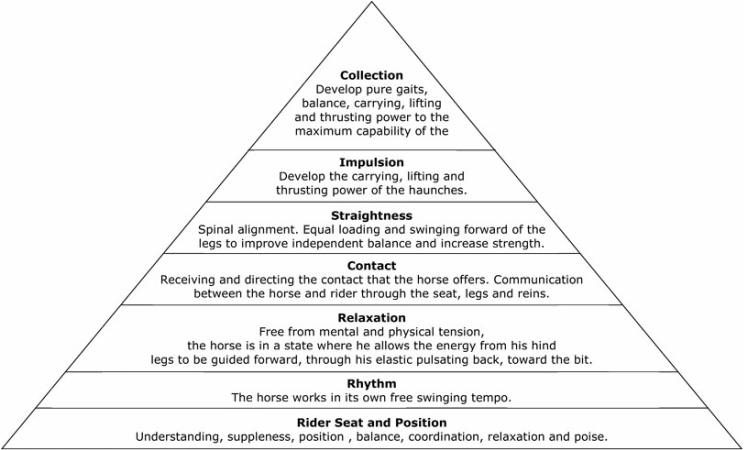 In addition to amateur sport offerings, educational Showposiums and clinics are organized and offered to our membership throughout the year to facilitate rider progression and understanding of the correct way of going. A Classical Athenian themed symposium is offered annually in honor of Xenophon, the Greek scholar and founding father of Dressage that first introduced the concept of training horses through kindness, not force to Western Civilization. The Society is also dedicated to the education of the general public to the existence and history of Classical Dressage and its theories. All of our shows are open to attendance by the general public for observational and educational purposes. First Coast Classical Dressage is a 501(c)3 organization directly serving the Northeast Florida region of Jacksonville, Fernandina Beach, St. Augustine and Lake City. Also conveniently serving the Palm Coast, Gainesville, Ocala, Daytona Beach, Tallahassee and Southern Georgia. Our Recognized Rider Program serves all of the USDF Region 3 area of Florida, Georgia, South Carolina, Tennessee and Alabama.